FAQ - Questions & Answers for Affinity Shop. 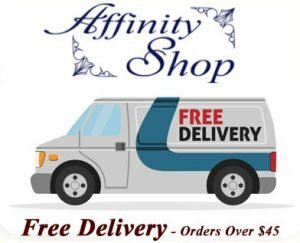 FAQ – Questions and Answers to help you shop with Affinity Shop. 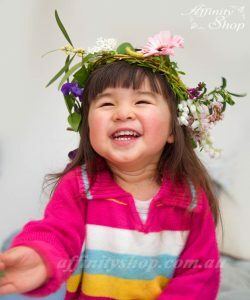 Q: Is Affinity Shop owned and run as a registered Australian Business? A: We have been in business in Australia for over 12 years. We are very customer focused and pride our quality products, provided with professional service. We hand pick, test and select high quality products you can trust. Q: Does Affinity Shop sell and ship products all over Australia? A: We sell to Customers and Businesses all over Australia. We offer FREE SHIPPING on orders(valued over $45)! If you are an international customer, please contact us to discuss your product needs and pricing. Q: Not sure what you need or should buy? Affinity Shop provides recommendations. A: We are very customers focused! Here at Affinity Shop we love to hear from our customers. You can get in touch and let us know what products you are currently using. Just tell us what work you need the products for, we can provide you with product recommendations to suits your workplace and compliance needs. Q: Are products sold with a manufacture fault warranty? A: Yes. We aim to only sell quality products. Our products are normally shipped with a 1 year manufacture fault guarantee, unless manufacturer terms state otherwise. It is very rare that any products we have sold have been returned or had any kind of fault. Our warranty complies with Australia consumer protection laws. Q: Do you provide wholesale or bulk order prices? A: We do offer cheap rates for customers who are on-selling products or customers who are wanting to buy large amounts of stock. Please contact us regarding your wholesale or bulk product purchasing needs. We are very happy to support Australian Businesses and charity organisations. Q: Does Affinity Shop charge payment fees or other hidden fees? A: No! Affinity Shop is a transparent easy to use service! We provide you competitive pricing that will remain the same from product listing to check out. The prices advertised on our website are the final purchase price. We do reserve the right to reject orders that are not in our best interest or to refuse supply. Q: Does Affinity Shop charge GST and issue Tax Invoices? A: Yes, all our prices include GST tax of 10%(some products are GST Free). We advertise our pricing including tax to make things easier for our customers. We email Tax Invoices out to our customers once your order has been processed and finalised. If you have not received your Tax Invoice or you think your email address may be incorrect, please Contact Us. Thank you for your continued support, it means a lot to us! We look forward to many years of solid growth ahead. Contact Us if you would like to price match, arrange bulk purchases or discuss your product requirements. Our little helper – Athena!